Attention outdoor enthusiasts!! Looking for a nice cabin or hunting retreat on a GREAT piece of hunting land in Price County?? Then this is for you! This 36+ acre parcel has an extensive mowed trail system throughout the property along w/ 3 hunting stands in place ready for hunting season! The property is a majority of high land with a small pocket of wetlands in the northeastern corner. The variety of trees ranging from mature and young maple and oak to hemlock and balsam is perfect to bring in a wide range of wildlife. The newer cabin built in 2000 has 2 bedrooms, 1 bath with tile shower, an open concept kitchen/dining/living area, knotty pine interior and ceramic tile throughout. There is a 23x10 attached garage for parking a lawn mower, four wheeler, or UTV with extra storage, and there is plenty of space to build a detached garage if desired. 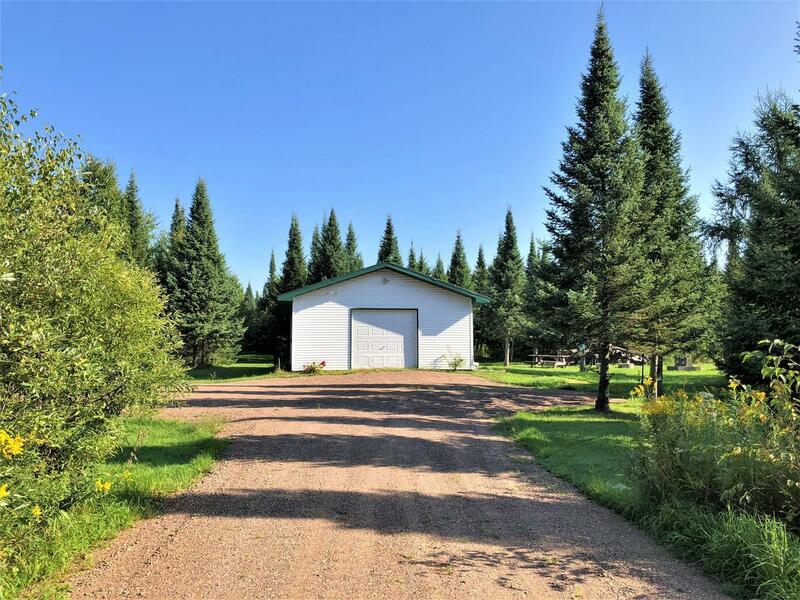 This property is located on the ATV route and is near the snowmobile trail. Call today for more details or to book your tour!